We invited Michael Akkerman, Global Head of Partners Program at Pinterest, to our NY office yesterday evening to speak on visual search. He talked about discovery over search, audience engagement over audience size, less time more well-spent over more total time spent, and social communities over social networks. It was an insightful, instructive, and *obviously* visual-heavy session. Here were some of the key takeaways / highlights. When people come to our platform, they’re trying to discover new pieces of information. Our Pinners are not looking to connect with friends or post at parties. They’re doing home renovations. They’re in the market for something. They want to go and actually discover something. Google is great for when I know what I want, but it’s really crappy when I don’t know how to articulate it. 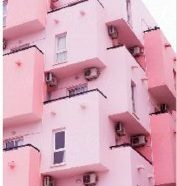 How do I describe a style I’ve only seen, a city I don’t know, a specific color? Pinterest is visual-first. We wanted it to be able to take images instead of words. What do I want to eat? What do I want to wear? How should I decorate my house? What’s my style? We help people understand their taste. Total numbers of pins: 23 billion food and drink. 18 billion home and garden. 8 billion beauty. 23 billion style. 4 billion travel. Are you in one of these categories? Your customers are on Pinterest. What keeps people from buying? They’re still trying to figure out what they want — they’re still discovering. For us, the camera is the new keyboard. Let the image be the SERP. Shop the look. Discover products inside an image. On Pinterest, we understand that every single person has different interests. We don’t want personalization as just a feature. We want it as the underpinnings of the entire platform. The way we’re doing it is we’re bringing what’s called the taste graph. The hipster guy from Williamsburg? His garden board doesn’t look like everyone else’s. My travel board? I want to go to Morocco. Not everyone does. When you interact on Pinterest, it feels like it knows you. What storytelling was on search versus what storytelling is on Pinterest. Driving people closer to an engaging experience. We have the largest human focus group in the world, curating content into boards. The visual revolution. 50% of the brain is dedicated to understanding visual information. People retain 10% of what they hear, 20% of what they read, and 80% of what they see and do. At Pinterest, that “do” part is very interesting. We’re about time well-spent. We want you off the platform as soon as possible — we want you to solve your problem as quickly as possible. We’re not a social network — but communities are naturally springing up all the time around given topics, images, ideas, and brands. Most people call Pinterest “my time.” Not about my social network. Ads often don’t add value, and they feel disruptive, disjointed. Why not make them additive? If you’re searching for a certain type of shoes, we’ll show you ads for those shoes. Example of REI: They saw that normal human beings shop in bundles. If they’re going camping, they don’t need ten jackets and ten tents. They need a bundle of assorted things. Thus, they started highlighting and bundling trending Pinterest products on their own site. Most purchases are driven by shopping, not by loyalty to a brand. People who switch from brand A to brand B do so because brand B was present the second they were looking for a product. Pinners start the Black Friday hunt in August. Most people start pinning, searching, saving 12 weeks before an event. That’s great for a marketer. You can drive interest incrementally over time. When someone is designing their perfect home, looking for the perfect bag, planning their next vacation — you should be there. They’re discovering your product. You need to do multi-touch attribution. You’re trying to engage customers, build brand, drive sales. But that looks different in every channel. Kenshoo found that Facebook was undervalued by as much as 30%. We see the exact same thing on Pinterest right now. The full livestream is available on our @Sewatch twitter here as well as online here. The post Pinterest on visual search: key takeaways appeared first on Search Engine Watch.